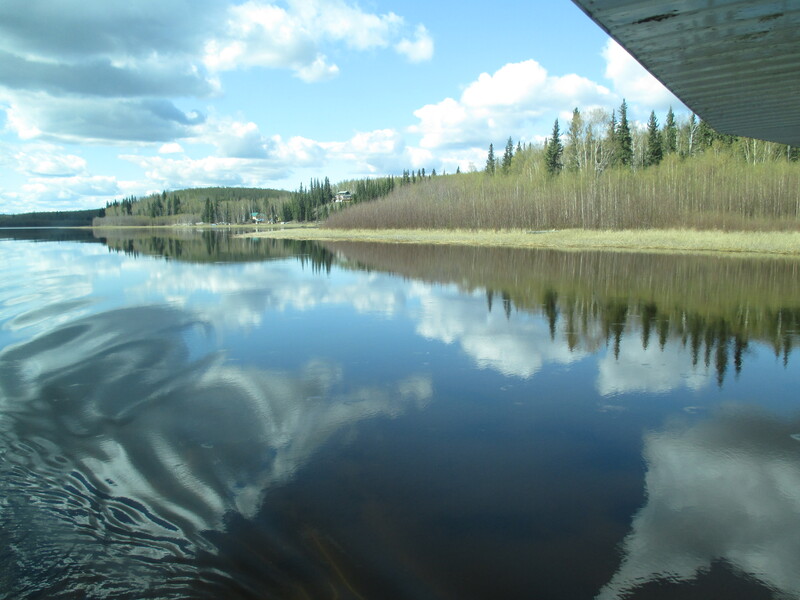 The other day, our neighbor and seasoned bush pilot, Don, flew us out to his cabin on a lake 70 miles or so to the west of Fairbanks. It was like riding on the back of an angel. So phenomenally beautiful. Here is a poem I’m working on to commemorate the experience. Thank you Don! as far as a mountain can see. What a fabulous experience, your poem brings the whole adventure to life! Thanks, Janaline! Your entire life has been quite an adventure and I look forward to reading more about it. As always, word pictures . . .
You would love it quarksire! Beautiful – you rekindled my longing to see Alaska. Very interesting. The amount of lakes in alaska is huge. In Finland we have only 187 888 lakes, but our country is small compred with Alska. I love Your photo. Sartenada, thanks so much for your comment. I think Alaska and Finland have a lot in common. Both are cold, precious places, with many lakes. 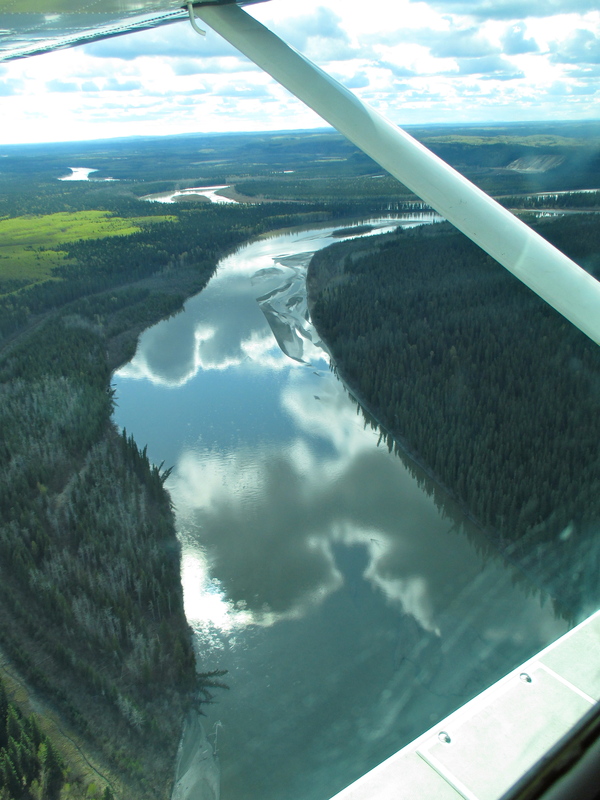 What a fun way to describe a float plane trip! I have taken so many of those in my lifetime and all in coastal AK. None of my experiences ever felt like “riding on the back of an angel,” prolly due to the intense conditions – but your poetry would most likely smooth it out for any weather. Also, I really liked the notion of “Denali shivers in her white anorak” – very culturally appropriate and powerful picture. Thanks again for these wonderful little gifts, Susan. I hope we get to meet up before you leave Fairbanks again. Oh how I want to hear that wood frog. Can you record it and download it here? I found the video below, but what we heard sounded nothing like these frogs, which makes me wonder now if, dang, it was actually a bear and Don was trying to keep us calm. We did leave shortly after that, and as we pulled up into the air there were a couple of bears, black ones I think, further down along the lake. Yikes! Beautiful, Susan. Beautiful photos, and absolutely beautiful poem. Paul, thank you for your kind words. I’m so glad you enjoyed “Float Plane.” I certainly am loving your posts. All the best! The element of being strapped in lingers with me–and I wonder about reincorporating variances on it—as a theme amid this wild. Interesting…as in stuck in the wilderness? Chained to the land? limited by the climate, the terrain, the isolation, the loneliness? The funny thing is it doesn’t feel at all like that to me…maybe because I’m free to come and go. It’s more like feeling so overwhelmed by the vastness that I need to concentrate on the small stuff, to narrow my perspective just to function. I’ll keep your comment in mind, though. Thank you. What a great adventure. I’ve never heard of the wood frog. Wow!!! Love the photography in your post. Thank you, Sue. I feel so very lucky to have this time in Alaska.